Finding and using the best sun protection strategies for your skin, eyes and hair can reduce your risk of skin cancer, prevent cataracts and signs of aging, and keep your hair healthy and hydrated. Our best sun protection tips for preventing sunburn and sun damaged skin include more than just wearing sunscreen. Most of us don't re-apply sunscreen often enough or apply it well to hard to reach places. Sunscreen clothing simplifies sunburn prevention. 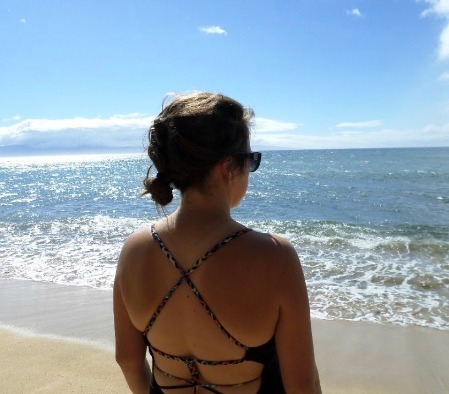 UV protection clothing uses fabric that prevents UVA or UVB rays from penetrating to the skin, yet the fabric is lightweight, breathable and comfortable to wear all day at the beach - in and out of the water. 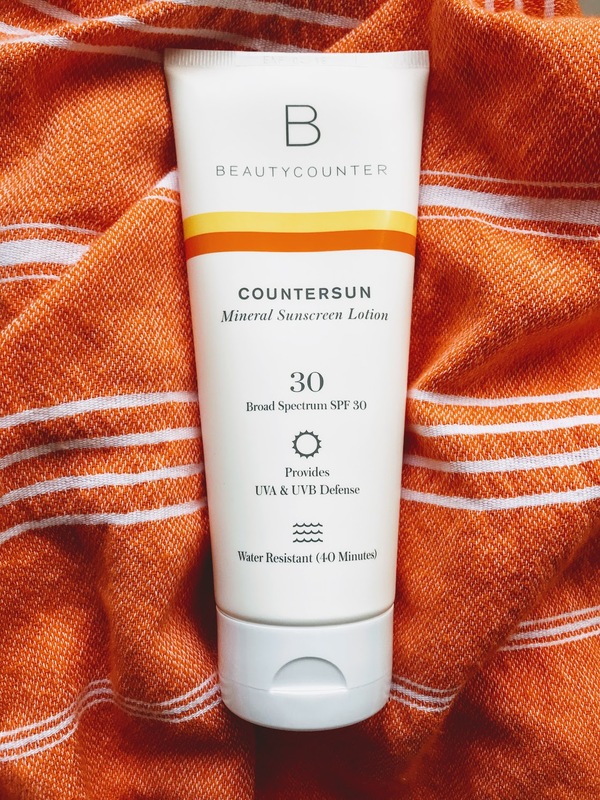 Choosing the best sunscreen lotion for you and your family requires an awareness of not only what sunscreen is effective, but what ingredients in your lotion are safe and what ingredients on the label can be harmful and need to be avoided - ingredients that are known allergens, hormone disrupters and even cancer causing. What SPF number should you look for and is higher better? 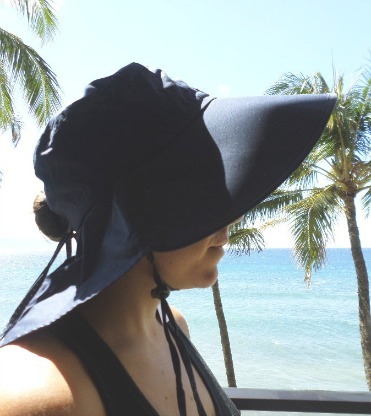 Sunscreens, tinted facial moisturizers with SPF, shade and hats with sun protection are all different ways to enjoy a day at the beach without drying out and aging your skin. Get some tips on how to keep your skin healthy and hydrated as well as find out what ingredient is commonly found in sunscreens that can actually increase or accelerate wrinkles and signs of aging when exposed to the sun. 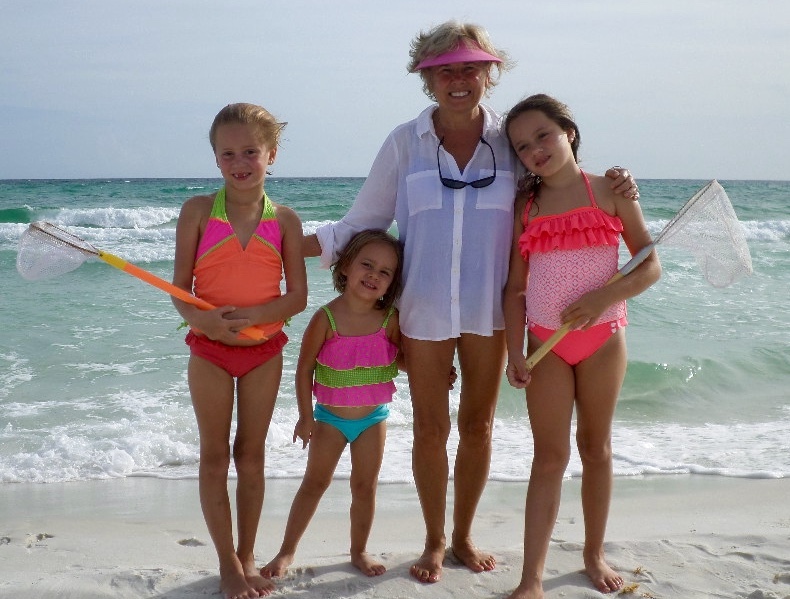 UV eye protection should be a priority for any beach vacation. 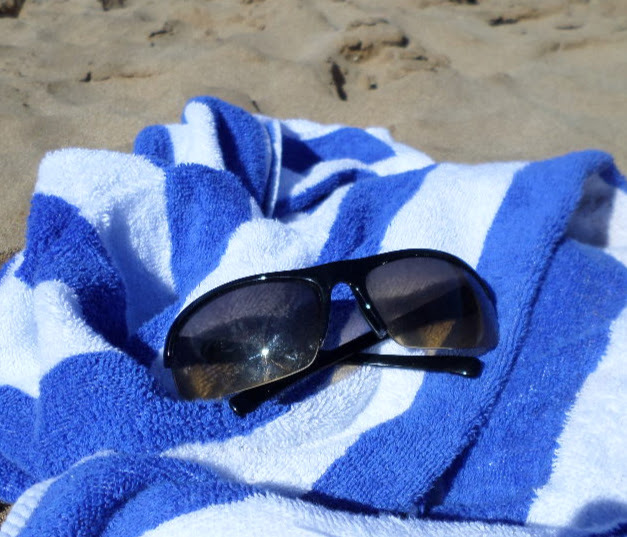 Wear them even when sitting under a beach umbrella or tent because UV rays bounce off the sand and water and can still reach your unprotected eyes. Did you know that sun exposure increases your risk for cataracts and age related macular degeneration (which causes loss of central vision)? 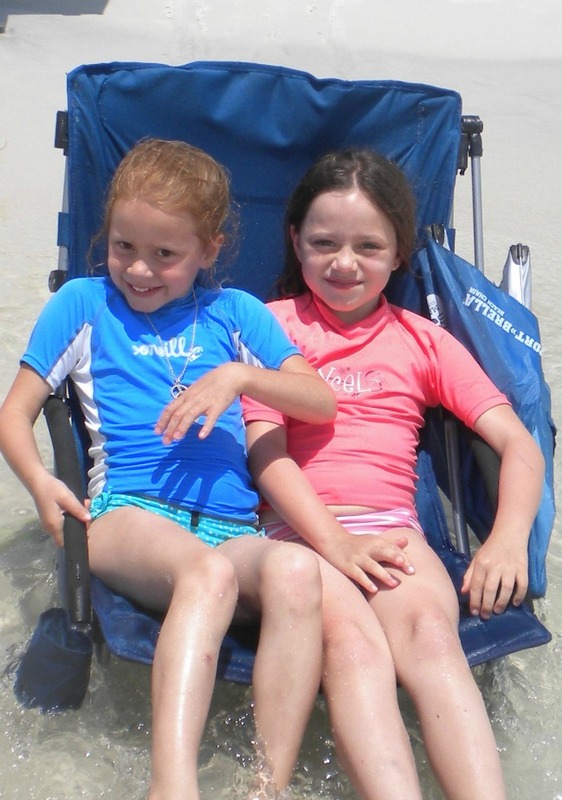 Some kids burn easily and others don't - but sun protection is important for all kids. 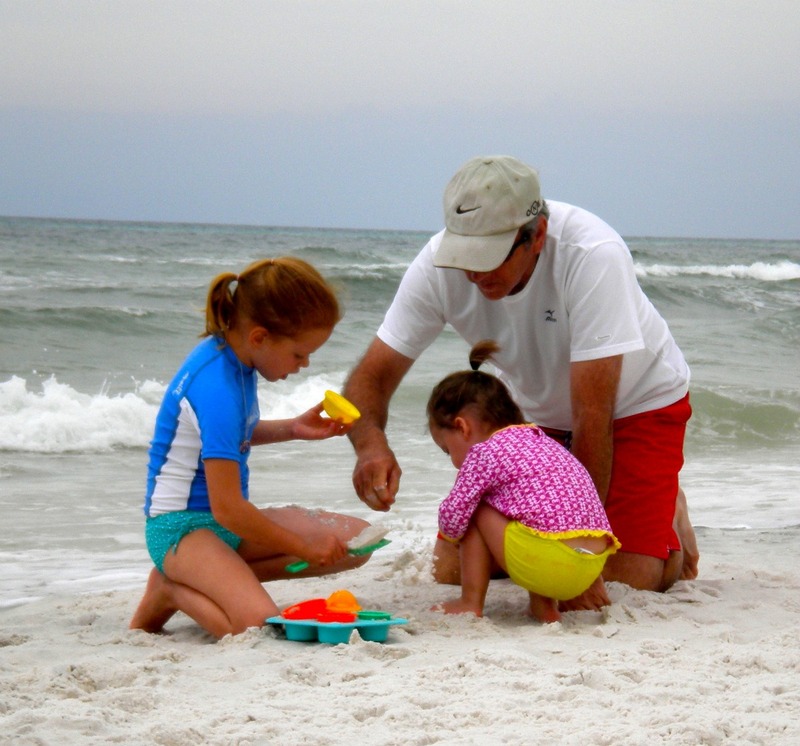 Did you know that sun exposure and sun burns as a child greatly impact one's risk for skin cancer as an adult? Did you know that the sun, wind and salt water can be very damaging to your hair and not just your skin? These elements can dehydrate and dry your hair leaving it brittle, tangled and unhealthy. If you color your hair, a day at the beach can fade not only the coloring but your salon investment as well. But with a few strategies you can keep your tresses happy, hydrated and healthy. After a day at the beach your skin and hair need your help. One of the most important things you can do is to drink filtered water - while at the beach and when you get home - and hydrate your body from within. Not only is this good for your skin, eyes and hair, keeping hydrated can reduce your risk of heat exhaustion or heat stroke. 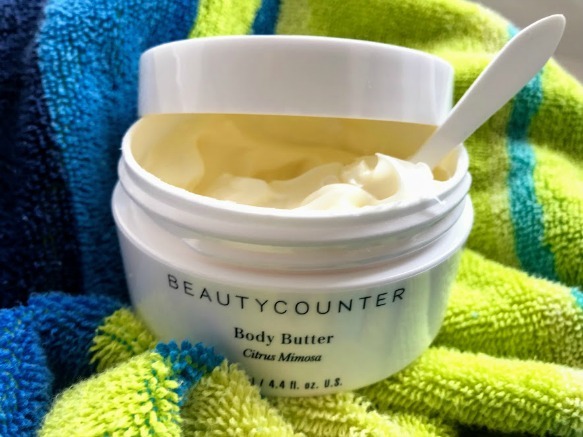 Apply an after sun body butter, a moisturizing lip balm, and an after sun conditioner to replenish moisture and to re-hydrate your skin and hair. After Sun Treatment Tips for soothing, relieving, hydrating and moisturizing skin, face, lips and hair.